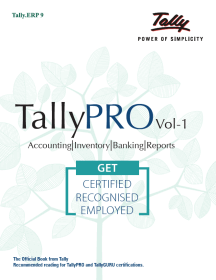 This Tally GST book, from the house of Tally, India’s leading business management software company, is the best book for Tally ERP 9. It is aimed at students who want to learn to use the updated version of the Tally professionals. The comprehensive Tally book with GST is suitable for learning concepts of Goods and Services Tax (GST) and its business application using Tally ERP 9. 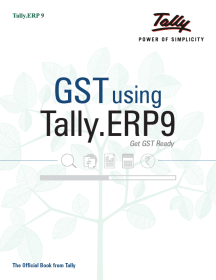 Written by the creators of Tally, this ERP 9 training guide talks about the important features of GST in a simple easy-to-understand language. This Tally ERP 9 with GST book will guide the user on concepts of GST, GST related transactions for supply of goods and services, advanced entries pertaining to Composition & Unregistered Dealers, Export, Import, SEZ and Exempted Supplies in Tally ERP 9. 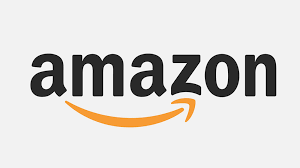 Further, the user will also learn to record GST adjustments and generate GST reports that will help to file GST Returns on time with this Tally ERP 9 learning book. The Tally ERP 9 with GST book explains about the migration process to Tally ERP 9 Release 6.0 from earlier versions. 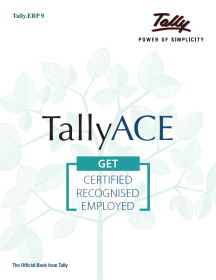 Plus, it contains solved illustrations and practice scenarios enriched with numerous screen shots that will help the candidates experience the simplicity of working on Tally ERP 9. This Tally ERP 9 book also has practical notes that guide students to apply the theorical concepts in practical situations. By solving the scenarios, candidates will able to understand the application of GST in Tally ERP 9 and will be equipped to handle all the business transactions related to GST in the daily work environment with ease. 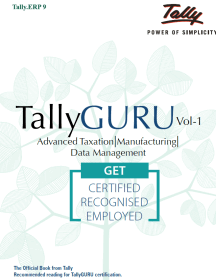 The latest version of Tally ERP 9 book is highly recommended for candidates who want to learn about GST, the new system for indirect taxation and implement it successfully. Do you want to add this Tally GST Book to your stock of academic books in your retail outlet or become a distributor of Tally Official Books? You can call us at 080- 40960208 or email us at tallybooks@sahajindia.net. 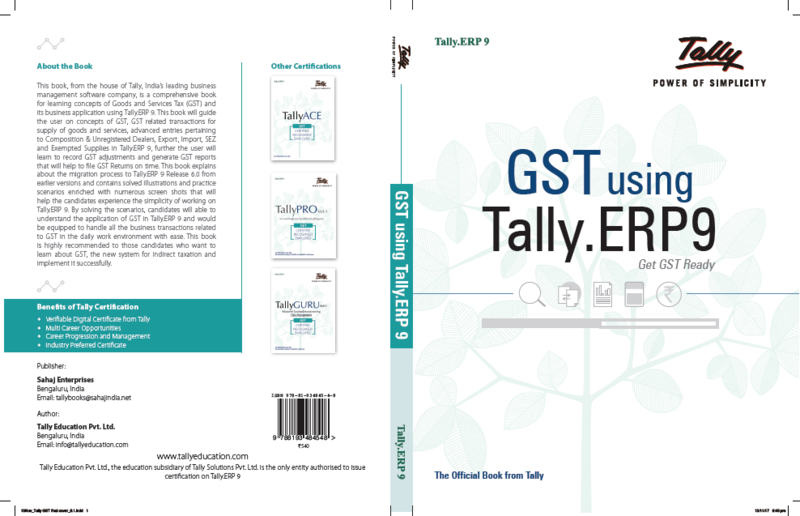 To become a dealer or distributor of Tally ERP 9 book with GST, just click the link on our website and fill in the form. We will get back to you at the earliest. 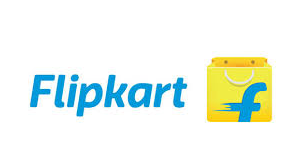 1.3.1 Why GST was introduced in India?